We’d love your help. Let us know what’s wrong with this preview of From Darkness to Darkness by Jay Bell. To ask other readers questions about From Darkness to Darkness, please sign up. I greatly enjoyed the first book in this Loka Legends series, The Cat in the Cradle, and I was keen for more adventures involving Dylan and Tyjinn. This story involves these two characters but begins with Cole who lives in the Jagged mountains, ruled by the Black Oligarch. He and his boyfriend, Jonah, return from a camping trip to find tragedy has struck their village and families. Before help can arrive both boys are in danger but Cole is rescued in a most surprising way by the Blacksmith, leav I greatly enjoyed the first book in this Loka Legends series, The Cat in the Cradle, and I was keen for more adventures involving Dylan and Tyjinn. This story involves these two characters but begins with Cole who lives in the Jagged mountains, ruled by the Black Oligarch. He and his boyfriend, Jonah, return from a camping trip to find tragedy has struck their village and families. Before help can arrive both boys are in danger but Cole is rescued in a most surprising way by the Blacksmith, leaving Cole as the new Black Oligarch. When Dylan's father discovers what has happened he sends Dylan to the Jagged Mountains to bring Cole back with him. All seems to be well until Cole finds himself in danger again and his friends and fellow Oligarchs have to fight to save him from an evil influence. What has been most interesting for me is to see how the author has developed in his plotting from the previous book to this one. The Cat in the Cradle followed a linear pattern and focused mainly on the romantic pair. Here the story is more complex with the characters gathering at the beginning, splitting into three different groups through accident or design before regrouping again at the end. Each grouping follows its own mini adventure, with Cole getting caught up with the villain Thistle; Dylan, Tyjinn and Kio exploring Kio's past; and Natasha, Jack and Crimson Barry working to rescue Cole. In amongst these separate plots are woven times when character groups merge again; when other characters such as the werewolf, Nikolai, join them briefly; where time is set aside to follow the past of Crimson Barry; and space is given to a greater understanding of the use of the Lokas. I found this complexity in the plot very pleasing. It managed to make the book interesting and put forward a lot of information without being confusing or relying on dumping information. Another aspect which is different to the first book is that this is a much darker story in terms of theme. It deals with grief, poverty and abuse. The Black Oligarch controls death and in this book it is used in a way that is sometimes a bit creepy and sometimes quite violent, all without crossing that line which will move it out of the realm of the YA book. The theme of death and grief also allows for a great deal of emotion in the characters, Cole especially, who mourns his losses and whose naive actions and trust of Thistle happen only because his grief is manipulated. Cole is similar to Dylan in the previous book, young and sheltered and unsure who or what to trust in the adults that he meets. He chooses a path based on his own needs, not seeing the bigger picture, but still manages to remain a sympathetic character throughout the book. This showed some skill in characterisation, as did the way that Cole grows in maturity as the book progresses. This wasn't just Cole's story though. As I mentioned earlier, this is an ensemble piece. Dylan and Tyjinn feature quite a lot, but their story takes more of a back seat to Kio, the talking cat. This seemed natural to me as most of their story takes place in the previous book. I was also pleased to see that Natasha, the White Oligarch (along with Crimson Barry), had a prominent part to play in the story. Her actions are vital to the plot, and we learn much about the magic of the White Loka. It was good to see a sympathetic and strong female character in a m/m story, especially because of the way she develops her talents during the adventure. Finally, I thought that Thistle was also an interesting character. He's more nuanced as a villain than Krale was in the previous book. His conflicting emotions, his love - however misguided - for his brother and the burden he carries because of the damage in his childhood, made him more than just insane or power hungry. At times I even sympathised with him, whilst abhorring his methods and I liked how he brought out that mix in the other characters too. The book also contains six full page illustrations, drawn by Andreas Bell, the author's husband, which beautifully enhance the story. A quick note for those who haven't read the first book. It probably is possible to pick up the series here, but I feel you would be missing out on quite a few of the references and intricacies of the setting if you started with this book. I highly recommend The Cat in the Cradle as a great place to start the series. By chance I happened to read the first Loka book, The Cat in the Cradle at just the right time. I read it as part of a TBR Pile Purge a few weeks ago, not knowing the sequel would come out in less than a month. It is serendipitous that it was so, because these last few weeks, until I found out that From Darkness to Darkness was indeed about to be released, I've been bemoaning the fact that I loved the first book so much and I'd have to wait who knows Review posted at The Armchair Reader. By chance I happened to read the first Loka book, The Cat in the Cradle at just the right time. I read it as part of a TBR Pile Purge a few weeks ago, not knowing the sequel would come out in less than a month. It is serendipitous that it was so, because these last few weeks, until I found out that From Darkness to Darkness was indeed about to be released, I've been bemoaning the fact that I loved the first book so much and I'd have to wait who knows how long to read more of this wonderful story. The m/m gods must have been on my side (side note: I'd love to meet those guys … or gals! yes, they're probably women). I started reading this book the minute it came in the mail, yes the mail (artwork + this world & author = 100% faith in a good book). I was fully prepared to be a bit disappointed; the first book has a firm ending and I was afraid, with the blurb talking about a new character that the old gang would be relegated to a small part. That wasn't the case, and Dylan had just as hard of a time staying out of things as he did the first time around. He comes to visit the new Black Oligarch, a young man of 16. The Black Oligarch is the master of death, both immortal while possessing the loka and able to kill with a thought. It is a dark power, uniquely suited to those who know pain and death and the bringer of it. And the young Oligarch, Cole, is definitely damaged; seeing his whole village, family, and his best friend and love Jonah brought down by corpse sludge has brought out a dangerous darkness within him, making him a fierce weapon who in his desperation will be easy to manipulate. Fans of the first book will definitely want to read this sequel and will be pleased. 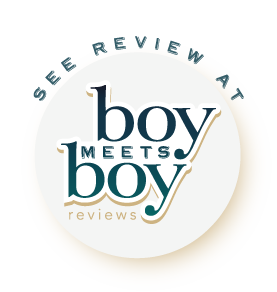 It is a little grown up in all ways -- the author has grown, the characters are wiser after all they've gone through, and Cole is darker than any character we've met so far. His presence and the differing reactions the characters have to the events of the first book, bring out a side of several of them that we didn't see in the first book. Where the first book introduced us to the Five Lands and the Oligarchy in a light and bright adventure of discovery and intrigue, this story is muted. The first book celebrated that adventure, but in Darkness their travels are solely part of the mission to end the evil they seek to understand and end. The stakes are higher this time around, which is a sobering thought, especially with the knowledge of what it takes to make it to the end alive. Though the circumstances are different, the theme of inner darkness is developed here just as it was in the first book. In The Cat in the Cradle, Tyjinn is forced to simply confront that aspect of himself in one moment that really matters (to the plot, anyway). In this sequel, it is a part of Cole's story and his choices from the beginning to the end. He's constantly conflicted and shows his age and lack of experience after losing Jonah, who made most of his decisions for him. His characterization is given much more time and effort, comparing and contrasting nicely to both the sides of "good" and "evil" in the story, until the lines are blurred enough for Cole to have to make serious considerations about himself and the others. This group takes several different directions at a few points, in geography and plot. I found a couple of them to be somewhat tangental and therefore made the story lose a little focus. Sadly, one of my favorite parts of the book felt this way -- when Kio finally finds out where he's from and returns home. Not only did this feel out of keeping with the important parts of the rest of the story, but I wished for more time for the situation to resolve. As it was, that particular point of the story seemed resolved a little quickly. This made the whole feel a little disorganized, with a few bumps in the forward momentum. The first book of The Loka Legends series, The Cat in the Cradle, was Dylan's coming of age story. It was a touching and compelling story about a young homosexual guy, who had to accept his sexuality and feelings. He also had to find a way to save himself and his friends from a killer, who killed Oligarchs. From Darkness to Darkness begins in an interesting way. At the beginning of the boo Originally published at Risingshadow. Before I write more about From Darkness to Darkness, I'll mention that it's a much darker book than The Cat in the Cradle. Because of its dark themes From Darkness to Darkness is a book for adults, but it's also partly a young adult book (I think this book will be of interest to young adults because the young characters and their problems will appeal to young adults). Jay Bell writes wonderfully about the characters, their insecurities and their thoughts. The characters face several difficult situations and they have to grow and accept changes. The inner struggles of the characters are interesting and add lots of depth to the book. I liked it very much that the author was able to continue the story in a fresh and exciting way by writing about Cole's problems and how they affect others. The first book concentrated on Dylan and his problems, but this book concentrates on Cole. Although Jay Bell concentrates on writing about Cole, he also writes about other characters and deepens each character. The author writes fantastically about difficult things. For example, he writes fluently about homosexuality and its different aspects. The romantic moments and also other moments between Dylan and Tyjinn are perfect, because the author writes about how they feel about each other and how their love has developed since the events of the first book. Dylan and Tyjinn are interesting characters, because they have their own feelings and the author explores their feelings much better than in the previous book. Both characters have grown since the first book and they're wiser than before. The introduction of Cole was an excellent idea from Jay Bell, because he can explore different feelings with Cole. Cole is a deeply damaged guy, because he has lost everything he holds dear and has to come to terms with his feelings. He has to struggle with feelings of sorrow, loss, loneliness and love. Cole isn't an experienced guy, because his friend, Jonah, used to support him, so he has lots of things to learn. Kio, the big talking cat, is still as funny and sarcastic as he was in the first book. He almost "steals the whole show" with his sharp and witty comments. I think that everybody will like Kio, because he's a loveable and charming character. Thistle is a well created character and his tragic story is told well. I won't mention who he is or what he does, because I don't want to write spoilers, but I'll mention that it was fascinating to read about him. Other characters (Nikolai, Natasha, Crimson Barry etc) are also interesting. It was great that the author decided to write more about The Drake, because I was fascinated by him in the first book. I also enjoyed reading more about Nikolai and what he had done to his animal friends. The worldbuilding is as nice as it was in the first book, but this time the author reveals more things about the world (The Five Lands) and its different areas. Everybody who has read the first book will notice how easily the author writes about the different areas. In my opinion Jay Bell has found his own voice and style in this book. He has also matured as an author since the first book and writes more fluently than before. The first book was good entertainment, but everything's much better and smoother in this book. Jay Bell is a talented author, so it was nice for me to see that he has managed to develop his writing skills further and has written a sequel, which is better than his earlier fantasy books (The Cat in the Cradle and Hell's Pawn). I hope he keeps on writing more fantasy stories, because he clearly seems to love fantasy and has a talent for writing entertaining stories. Jay Bell writes fluently about different magical and supernatural things. It was fun to read about the zombies, the undead etc. I also enjoyed reading about how the characters used the lokas. The different lokas and their powers are fascinating (I was fascinated by the lokas when I read the first book, so reading about them again was nice). The artwork by Andreas Bell looks beautiful. I like his illustrations very much, because they are atmospherical. Each illustration represents a scene from the book. If you liked Jay Bell's The Cat in the Cradle, I'm sure that you'll like this book too. It's a surprisingly complex, well written and fascinating sequel, which offers lots of entertainment to its readers. The loveable characters alone make it a winner. A genuinely enjoyable fay YA fantasy with an interesting world being explored and likeable main characters facing peril, potential death or worse, and perhaps an opportunity to find love and friendship. If you were offered the chance to bring someone you loved back to life, would you take it? I'm guessing that many of us would be sorely tempted. However, realizing that our decision would have far-reaching, almost unimaginable consequences, how many of us would actually go through with it? Cole, of Jay Bell's 'From Darkness to Darkness', wants his dead lover, Jonah, back more than anything. When he's offered this opportunity, he accepts without thinking about the consequences; it's not because Co If you were offered the chance to bring someone you loved back to life, would you take it? I'm guessing that many of us would be sorely tempted. However, realizing that our decision would have far-reaching, almost unimaginable consequences, how many of us would actually go through with it? Cole, of Jay Bell's 'From Darkness to Darkness', wants his dead lover, Jonah, back more than anything. When he's offered this opportunity, he accepts without thinking about the consequences; it's not because Cole is callous, but because he is young and inexperienced and overwhelmed with grief and loneliness. The forces unleashed by his unconditional decision are more powerful, far-reaching, and destructive than he could have ever imagined. This story is about Cole's journey as he strives to reach an understanding of the complexities of existence. Cole is such a sad character. He's lost everyone dear to him and is in a dark mood of depression and grief. It was interesting to watch him grow and realize how much his desire to be with Jonah costs. Dylan and Tyjinn were introduced in 'Cat in the Cradle.' They are wiser and stronger and more in love than ever. Dylan and Tyjinn make a great team and are especially resourceful when accompanied by Kio, the talking cat, and the intuitive young girl, Natasha, both of whom have more important roles in this story. We learn a lot more about Kio and his roots and delve more into Natasha's capabilities. I especially loved Jay's portrayal of Natasha's gifts as sometimes being confusing and vague and, at other times, crystal clear. Natasha represents a great role model for young women. This story may involve fantasy, but it is by no means a fairy tale. The issues faced by Cole and his friends are about life, death, and all combinations thereof. Since my father died recently, I've been giving a lot of thought to the question of what happens, if anything, when we die. Seeing my father's body being put in the cold ground left me with a despair I can't even begin to describe. I identified with Cole's feelings of loneliness, anger, frustration, desertion, and heartache. My father was my best friend, my confident, and comforter. As with Cole, I'd give almost anything to have him back with me, but I also realize that it would be wrong on so many levels. It's difficult to let go of someone who means everything to you. Jay's story raised many issues which were brewing in my heart and mind but that I hadn't been able to put into words. Instead of wallowing in my feelings of grief, I began to ponder some of the ideas presented in the story. As I wrestled with all this, for the first time since my father died, I was reassured that he was still with me. The bottom line is, the all-that-is consists of love and love is something which can not be destroyed. This is a very profound, dark story whose characters, world building, situations, and messages are so expertly woven into the theme. It's not for everyone, but for those of you who enjoy a deep, challenging story, with multiple themes, which will cause you to reflect on how events and ideas presented therein affect you, then 'From Darkness to Darkness' is a reading experience you will not want to pass up. Thank you, Jay, for sharing your gift so openly and honestly. Attempting to not spoil anything really really hard.I believe I succeed. I think I liked this book even more than the first Loka Legends book. Dylan is back and thrown into another crazy adventure,but this book starts off with new characters Cole and Jonah. Cole and his boyfriend Jonah's story is heartbreaking in that first couple chapters. I knew this was going to be a great book with the implications of the magic Cole becomes capable of at the beginning of the book.I was excited because it was Attempting to not spoil anything really really hard.I believe I succeed. I think I liked this book even more than the first Loka Legends book. Dylan is back and thrown into another crazy adventure,but this book starts off with new characters Cole and Jonah. Cole and his boyfriend Jonah's story is heartbreaking in that first couple chapters. I knew this was going to be a great book with the implications of the magic Cole becomes capable of at the beginning of the book.I was excited because it was one of the magics that wasn't highly involved in the previous book. I felt that the other magics we got to see the most were like that as well. You get to see more of Natasha with her White Loka and new dimensions of the way the Brown, Orange, and Gray Lokas could be used. That was exactly what I wanted going into the second book. Seeing the new magic and characters brought a freshness to the world. I loved Natasha, and Cole so much by the end of this story.I did not love either of them 100% of the time. They actually did some annoying things quite a bit,but they are young and powerful.Great power, great responsibility yada yada. I feel like what happens to them in the book pulled me in so much more than Dylan, Kio, and Tyjinn. I did like that we get a big focus on Kio in this. I felt like he really had his own adventure arc where Dylan just backed him up for once. I love this big talking cat in this book and his friendship with a human that he was raised with. It's just fantastic. Nikolai is werewolf bae. That is all. He's super sweet and protective. I was not disappointed when we were able to see Lali in this. She's such a great leader. One of my favorite characters in this world for sure. I liked that this book had Dylan's father Jack along for the adventure. It's great seeing him involved in protecting his family.Don't see that a lot in fantasy/adventure YA books. As always I loved the illustrations. One of Natasha is completely one of my favorites. I was on the plane finishing up the book and woke my boyfriend to show it to him because I liked it so much. ****Warning****You must read the first book in the series in order to read this story. Great YA adventure read. Wow, Dylan, Tyjin and the other Oligarchs are having a rough year or so. First, Krale tried to take all the lokas for himself and now zombies are showing up everywhere. This story is not centered around a particular character. Yes, Cole is the new Black Oligarch but his is just one part of the story. The main issue our characters face in this book involves the Crimson Barry's past (the ****Warning****You must read the first book in the series in order to read this story. Great YA adventure read. Wow, Dylan, Tyjin and the other Oligarchs are having a rough year or so. First, Krale tried to take all the lokas for himself and now zombies are showing up everywhere. This story is not centered around a particular character. Yes, Cole is the new Black Oligarch but his is just one part of the story. The main issue our characters face in this book involves the Crimson Barry's past (the ghost that helps the White Oligarch). Someone from Crimson Barry's past is out to be re-established in the world and everyone must come together to stop him. The story starts off with Cole and his best friend, and love, Jonah returning home after a camping trip. There they find their families killed by corpse sludge. Jonah dies trying to end their families' suffering and Cole is not too far from dying as well. The Black Oligarch gives his life in order to save Cole, so not Cole is the new Black Oligarch. Cole is just 16, almost 17. He just lost his family and witnessed the love of his life dying. He is sad, angry and very confused. Dylan is asked to go and help Cole through this difficult time. Dylan relates to Cole on a deep level because he would feel the same way if he lost Tyjin. On their way back to Dylan's home strange things begin to happen. They are attacked by zombies and Cole seems to be at the center of it. At Dylan's home, Cole is kidnapped and Dylan, Tyjin, Kio, Jack (Dylan's father) and Natasha (White Oligarch) go after him. When they find Cole, old secrets come to light and so begin the race to destroy a man who has survived for over 500 years without his soul. A lot takes place in this story, but I did not feel overwhelmed. We are introduced not only to the Crimson Barry's past, but to Kio's past as well. Natasha has a lot larger role in this story than in the last. He short back story was very interesting. Cole makes some pretty bad mistakes throughout this story. I had to keep reminding myself that he is only 16 and just lost everyone he loved. I probably would have made some of the same choices he did in the same circumstance. Dylan's need to protect Cole was a bit strong. He feels this need almost immediately. Bell does a good job explaining why, but Dylan was a bit obsessive at times. 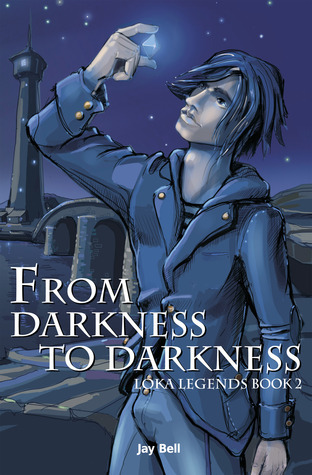 If you enjoy a good fantasy, adventure story then you have to try the Loka Legends series. I really hope there will be more books to come. As always, the drawings in this story were beautiful. From reading other books of Bell's it's obvious he has/had a cat(s) he loves very much. As a crazy cat man myself I love this aspect in his books, haha! Needless to say, this focus on Kio's story in the book was one of my favorite parts, I just wish more time could have been spent on it. Possibly a third book? Of course all other storylines were great as well, I really like how we got to follow multiple characters on their adventures rather than just seeing it through one or two. I used to be an From reading other books of Bell's it's obvious he has/had a cat(s) he loves very much. As a crazy cat man myself I love this aspect in his books, haha! Needless to say, this focus on Kio's story in the book was one of my favorite parts, I just wish more time could have been spent on it. Possibly a third book? I used to be an avid fantasy reader, so the "gay romance/fantasy" idea really appeals to me. I love seeing what lives in people's imaginations, and curious as to what inspires them to create these new worlds with so many details. Regardless, great book. "Something Like..." Series is still my favorite, but I have a feeling they'll be hard to beat. A point I missed was the whole dealing with death theme. To be a young heartbroken boy who loses everything, including the love his life, while almost simultaneously gaining the ability to bring back to dead...I can imagine those are some hard choices to deal with. Honestly Cole was a kind of annoying character to me at points, but I definitely sympathized with his decisions and then guilt. This was a fantastic continuation of the Loka Legends series. It was so very easy to get lost in this world. I fell in love with the new characters and was so happy to revisit the one from The Cat in the Cradle. Mr. Bell's storytelling is unparalleled, his stories so vivid. "Darkness" was no exception. Kio was amazing (seriously... he needs an action figure), Dylan and Tyjinn were perfect, I wanted to hug Cole and Jonah until they both passed out, and Crimson Barry and Thistle TORE MY HEART TO S This was a fantastic continuation of the Loka Legends series. It was so very easy to get lost in this world. I fell in love with the new characters and was so happy to revisit the one from The Cat in the Cradle. Mr. Bell's storytelling is unparalleled, his stories so vivid. "Darkness" was no exception. Kio was amazing (seriously... he needs an action figure), Dylan and Tyjinn were perfect, I wanted to hug Cole and Jonah until they both passed out, and Crimson Barry and Thistle TORE MY HEART TO SHREDS. And while I was heartbroken near the end of the book (much like I was in the VERY BEGINNING ::side eyes Mr. Bell:: ), the final scene was exquisite. I could not have been happier with how that turned out. I was a bit overwhelmed with some of the POV changes, as I'm not used to experiencing more than two in a story/book. I was also slightly disappointed with how Krale's fate and Kio's heritage was handled near the end, as I felt they were both a bit rushed. Those are what kept this from being a 5-star-read for me. Fantastic fantasy (is that like redundant repetition? ::shrug:: Whatever... it was awesome). I highly recommend it. This is astounding. I wasn't in love with TCITC, which is the first book of the series. But it was enjoyable, now I'm here enthralled with the series. This book was brimming with tension and incredible characters. Loved it. Characters were incredible. The plot was clever, twisting, and very fun. However, this was also filled with tragedy and giving in to temptation. It was so stressful to read this, but I am pleased and e This is astounding. I wasn't in love with TCITC, which is the first book of the series. But it was enjoyable, now I'm here enthralled with the series. This book was brimming with tension and incredible characters. lately, I'm having Jay Bell Binge. Great world building and story telling, the plots are quite tight which is hard as soon as an author uses a world where magic is heavily used. Very sweet characters. Do read "Hell's Pawn" which manages to be lovingly subversive in the most open-minding way possible. To be honest, I found myself with waning interest half way through, while I really enjoyed the first book, this book contains a lot of flashback perspective from supporting characters, of whom I didn't care for so much. Still, Jay is a fav author of mine, so it wont deter me. This is an enjoyable follow up to "The Cat in the Cradle" and explores a little more of the Loka world. Whilst "The Cat in the Cradle" is perfectly enjoyable standalone read, "From Darkness to Darkness" does answer a couple of questions left over from the first book. I was somehow able to download this a few days early! This is like a 4.5-4.75 book so the five stars. It was sweet and a very nice continuation of the story. The blurb had me a little worried but I'm glad the situation wasn't what I thought it sounded like. I liked the way the story unfolded, it was smart, and I liked the amount of romance portrayed. Thumbs up.